We encourage out of town visitors to come and play polo here. Please be sure to contact our manager Kristine Dalton before you come. She can help you with your plans, and make sure your polo vacation here is everything you hoped for! Visitor's Dues - Our season runs from June 1 through Labor Day. Dues are set per season, or per week. Dues include: 3 games/week (Wednesday and Friday practice game, and practice or tournament game on Sunday) Also, unlimited riding or stick'n'ball at the club, and keep-away when scheduled. Every person, player or groom, who rides at the club also pays an EMT fee of $75. If you or your family members are interested, the Polo School is available for children or adults, and the Margarita League games are a great 'stepping stone' from Polo School to Club chukkers. 1. Yearly rabies vaccinations are recommended for all horses in Sheridan County, due to the sudden high increase in reported cases in wild animal species in this area. 2. Strangles outbreaks have been reported in several polo clubs in Texas and Florida. 3. Several outbreaks of equine herpes (rhinopneumonitis) have been reported at rodeo events in northeast Wyoming. It is recommended along with your regular normal spring vaccinations (especially Influenza/Rhinopneumonitis) have your horses be administered intranasal strangles vaccines within as least 2 months prior to your arrival or on arrival to Sheridan Wyoming. The club will require recent proof of vaccination on or after arrival at Big Horn Polo Club or home stable in Sheridan County to ensure no outbreaks occur at this club. Split Dues - Dues may be split between 2 players. This entitles to 2 players to 6 practice chukkers in total and 1 spot in a Sunday game, as well as access to the fields for stick'n'ball and keep-away. All players wishing to split dues must let the manager know before the seaon commences. Don King Days - At the end of the season is our famous Don King Days Tournament, with the finals held over Labor Day, a three-day celebration of polo, bronc riding, roping, and world-championship blacksmith competition. There is a separate entry fee for this tournament. Please contact Kristine if you are interested in participating in Don King Days. The goal level will vary from year to year. The club makes up teams from individuals who are entered but will try to accomodate teams or pairs who would like to play together. Please avoid driving trailers behind the clubhouse...it creates a dust problem, and there are times when the clubhouse is rented out for private parties. They appreciate it when the rigs come in and go out using the road around the WEST side of the fields, along the fence next to the Flying H Polo Club. Stick'n'Ball areas will be marked each day with cones. Please respect those areas; stay within the cones! Mostly, use common sense. Avoid riding any horses on areas that have been recently watered. 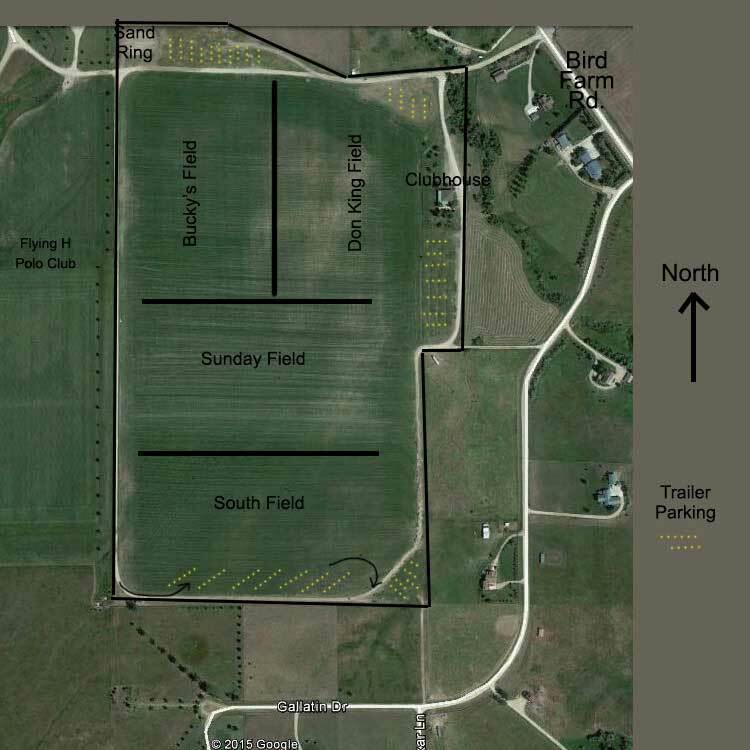 Stabling / Housing - There is no stabling at the Big Horn Polo Club/Big Horn Equestrian Center. Several local land-owners have houses, pastures, corrals, or stabling availabe for lease. Contact Kris Dalton, or you may contact these people directly. Judy Slack - (3 units available near Big Horn) House for rent: 3 bedroom 2 bath, fully furnished. Big yard. High speed internet. Also, 3 bedroom 1 bath, fully furnished. High speed internet. Plus, 1 bedroom 1 bath, fully furnished. High speed internet. More info at http://jslack8.wixsite.com/boxcrossranch For more details please call Judy at 307-751-4908. Canyon Ranch - Located next door to the Flying H Ranch. 3 houses for rent. *Hay Meadow House is a 3 bed/3 1/2 bath luxury home with garage, impressive and private view of Little Goose Canyon. *Foreman's House is a 3 bed/2 bath cozy ranch home with a deck and lovely views. *The Lodge is a 3 bed/4 bath log home that sleeps up to 10 people, a large wrap-around deck, industrial kitchen, fireplace and expansive view of Little Goose Canyon. More info at www.canyonranchbighorn.com or contact Sandra Wallop at 307-751-6785 or sandee@canyonranchbighorn.com. Bales House 4 bedroom (1king,2 full,1 queen) 3 bath house. Daylight basement with a huge wrap around deck with a spectacular view of the big horns. Fully furnished with washer/dryer and barbeque. Plus wifii and TVs in 3 bedrooms plus family room (no cable though) No Air conditioning yet! Address is 52 Cato Drive, Big Horn. 6.3 miles from the equestrian center. 3 Bedroom home in rural setting on 7 acres, fully furnished, washer and dryer, AC, fenced pasture with grazing and water. Stables available at neighboring property, negotiated separately. $4,200 per month or $1,200 per week. Send email to Brenda.fischer281@gmail.com for pictures and information. Rifle Creek Ranch - 2 Bedroom unit, 8 stalls, turn-out paddocks, approximately 15 acres, five miles from the polo club. Also, this is a horse hotel / B&B. Contact Boe Gregson at poloboe@hotmail.com 307-752-4516 or 701-202-6977. WillTy Inc - Pens and trunout on irrigated pasture. By the day or monthly rates available. Access to exercise track and 5 miles from Big Horn Polo Field and Flying H. Contact Brian MacCarty brianm@nxbar.com 307-751-2427. 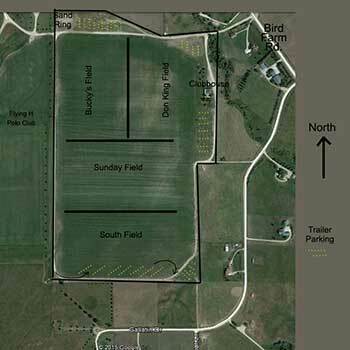 Shiloh Creek Ranch (formerly the K-3 Ranch) - stalls with runs, pens, pastures, outdoor arena. Contact Rich and Cindy Neukam 303-519-5775. Jill Small - Large log home on Brinton Road for rent in summer of 2019. House is available mid June. 3bedrooms, 3 baths, 2car garage. Little Goose Creek runs behind it...large rooms. $6,000.00 a month and includes utilities. Furnished. phone: 307-674-1745. Cell: 307-751-4834. Brinton Road Barn - Barn for rent June-Sept, 10 minutes from the club. Six acre pasture, sand dressage arena, six-stall barn, paddocks with run-in sheds. $400 per horse per month, minimum 5 horses. For more details click here. Call Dave at 307-763-9568.